Paul Evans, Cupola Gallery and Longbarrow Press are proud to present an evening with poets James Caruth, Angelina D’Roza, Mark Goodwin and Peter Riley at the Cupola Gallery, Sheffield, on Wednesday 21 October, reading poems that respond to the Peak District landscapes of The Seven Wonders (an ongoing collaborative project initiated in 2010 by Evans). 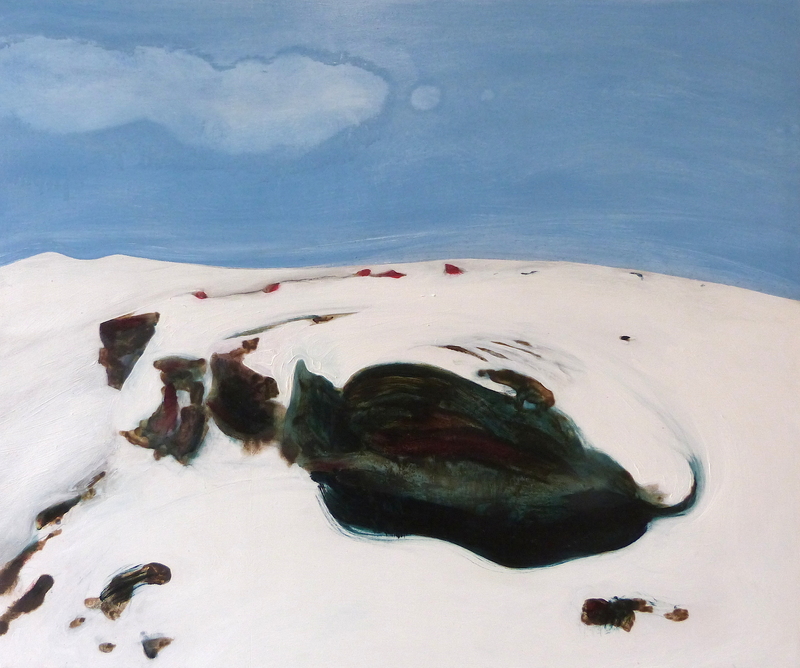 The reading will be introduced by Paul Evans, and marks the close of ‘Between Water and Stone: The Wonders of The Peak’, Evans’ current exhibition at Cupola Gallery, in which new paintings and drawings appear alongside poems by Chris Jones, Helen Mort, Fay Musselwhite and the aforementioned poets. The last day for the Between Water and Stone exhibition is Saturday 24 October (gallery opening hours 10am-6pm, Mon-Sat; admission free). Where lies your landmark, seamark or soul’s star? The paintings, drawings and poems of the current phase of The Seven Wonders are brought together in Between Water and Stone: The Wonders of the Peak, a forthcoming exhibition of new work by Paul Evans at Cupola Contemporary Art, Sheffield. 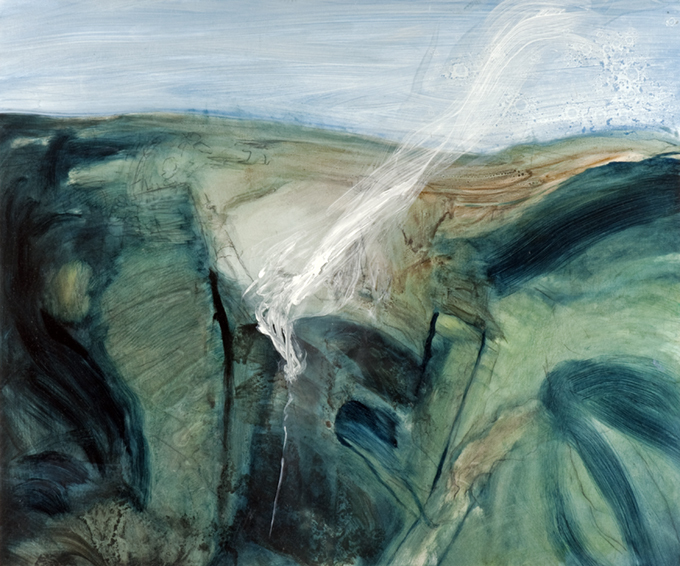 Created on paper and board with graphite, charcoal, oil paint and watercolour, these dynamic paintings and drawings are informed by a deeply felt physical and emotional engagement with Peak District landforms. Sometimes sliding into abstract terrain, each drawing/painting represents aspects of a ‘dangerous, intensely passionate relationship’ that has consumed the artist for over three and a half decades. A number of these paintings will be accompanied by poetry from leading contemporary poets including Angelina D’Roza, Mark Goodwin, Fay Musselwhite, Alistair Noon, Peter Riley and Derbyshire Poet Laureate Helen Mort. The exhibition opens on Saturday 26 September 2015 (continuing to Saturday 24 October); please join us for the preview on Friday 25 September (from 7.30pm). A further event at Cupola Contemporary Art, featuring Paul Evans and some of the poets who have contributed to the Seven Wonders project, will take place on Wednesday 21 October; more details will be posted here in the near future. Between Water and Stone: The Wonders of the Peak is kindly supported by Longbarrow Press. 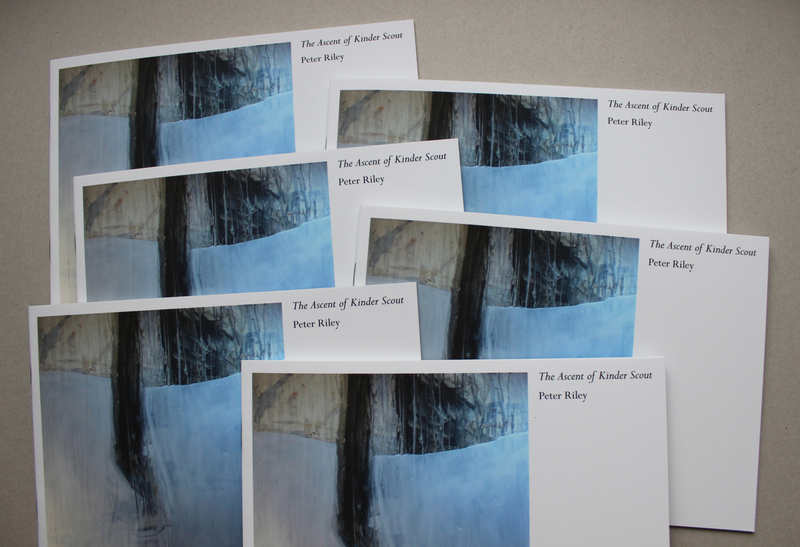 Following the appearance of two extracts on this site in December 2012, Longbarrow Press is proud to announce the publication of Peter Riley‘s long-awaited new pamphlet, The Ascent of Kinder Scout, a meditation on this physical and cultural ‘wonder’ of the Peak District. 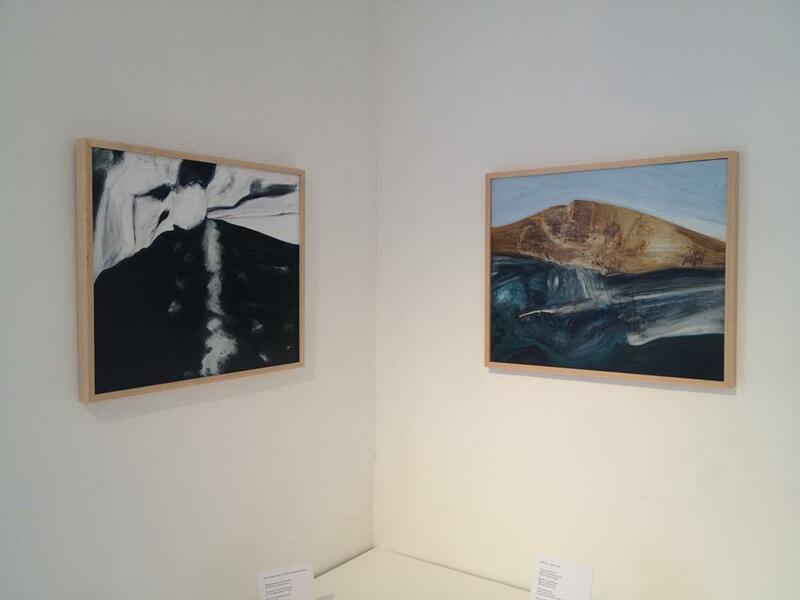 The front and back covers feature two remarkable paintings of Kinder Downfall by Paul Evans (developed as part of The Seven Wonders series). Beautifully designed and produced, The Ascent of Kinder Scout is now available for just £5 (inc UK P&P). Click on the relevant PayPal option below to order your copy. Click here to read two extracts from The Ascent of Kinder Scout. The seventh work in the current phase of The Seven Wonders focuses on the ‘stone edge’ that marks the border between Derbyshire and Sheffield: Stanage. Artist Paul Evans and Derbyshire Poet Laureate Helen Mort respond to this gritstone escarpment with a poem that references one of the climbing routes to be found on the steep buttress, and a painting that evokes the uncommon ground encountered at the end of the climb. Click here to view the poem and the painting. 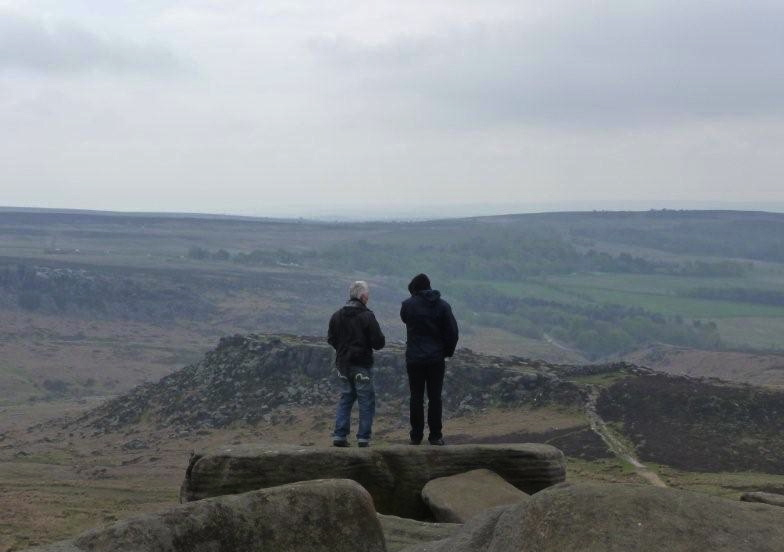 This is the first stage in an ongoing collaboration between Evans and Mort, informed by a series of visits to and conversations about Stanage Edge; click on the ‘Play’ button below to listen to an edited discussion about the collaboration (recorded in Evans’ Sheffield studio on 23 October 2013). Further work will be posted here in the coming months. For the latest collaboration in the Seven Wonders series, artist Paul Evans and poet Mark Goodwin travel to Alport Castles, a landslip feature in the Peak District, Derbyshire. The gritstone debris from this landslide towers over the valley for over half a mile; from a distance, the protruding mounds resemble castles. The instability of the site is reflected in Goodwin’s poem, which is also a response to Evans’ painting; you can view the poem and the painting here (for an enlarged view of the poem, click on the link to the PDF at the bottom of the page). Further work from the Seven Wonders series will appear in 2014, including a new collaboration between Evans and the Derbyshire poet laureate Helen Mort. The fifth (and final) work to develop from this year’s Seven Wonders collaborations revisits the site(s) of a notable physical and cultural landmark of the Peak District: Kinder Scout. 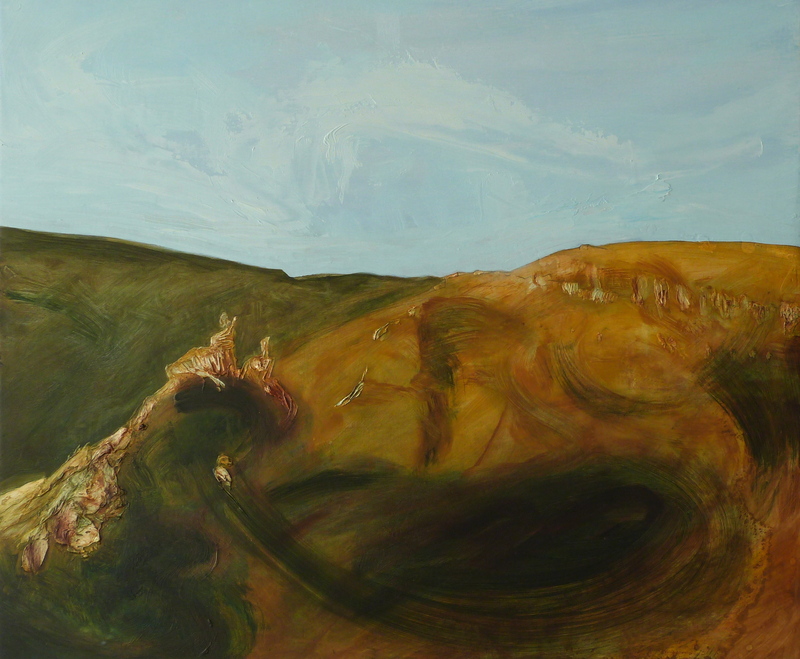 The Downfall (revisited) comprises two new paintings by Paul Evans and two excerpts from a new work by Peter Riley (The Ascent of Kinder Scout), marking 80 years since the mass trespass that eventually led to the ‘right to roam’ being legislated in the Countryside and Rights of Way Act 2000. Kinder Downfall is the tallest waterfall in the Peak District, with a fall of 30 metres. The waterfall was formerly known as Kinder Scut, and it is from this that the Kinder plateau derives its name. 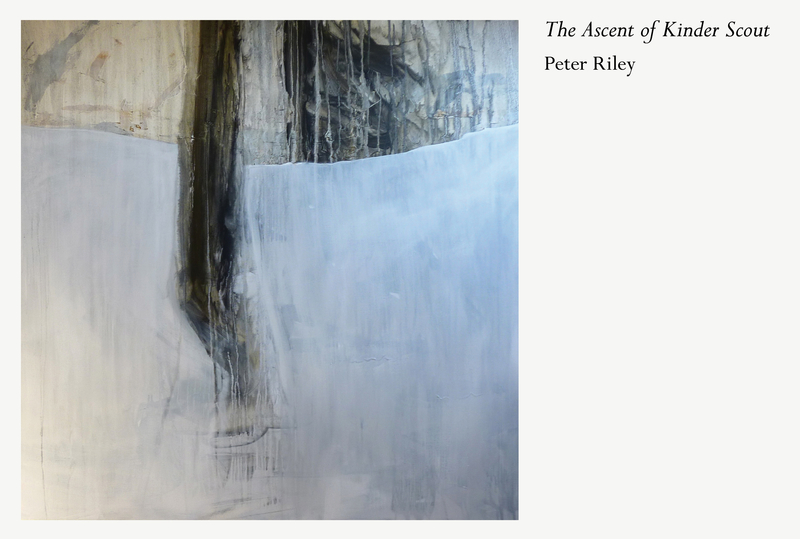 You can read Peter Riley’s texts and view Paul Evans’ paintings here. The fourth collaboration in the current phase of The Seven Wonders focuses on The Burbage Valley, which lies 8km north-west of Sheffield and is largely formed of millstone grit and shale. In a departure from the practices that shaped earlier collaborations in this series, Paul Evans has created a sequence of six drawings in response to a new poem by Alistair Noon; the poem and drawings trace a route through the valley towards ‘the developing relicts’.